A magical, richly woven World War II– era saga filled with passion, secrets, beauty, and horror from internationally acclaimed bestselling author Belinda Alexandra. FLORENCE, 1914. A mysterious stranger known as The Wolf leaves an infant with the sisters of Santo Spirito. A tiny silver key hidden in her wrappings is the one clue to the child’s identity. . . . FIFTEEN YEARS LATER, young Rosa must leave the nuns, her only family, and become governess to the daughter of an aristocrat and his strange, frightening wife. Their house is elegant but cursed, and Rosa—blessed with gifts beyond her considerable musical talents—is torn between her desire to know the truth and her fear of its repercussions. All the while, the hand of Fascism curls around beautiful Italy, and no citizen is safe. Rosa faces unimaginable hardship: her only weapons her intelligence, intuition, and determination... and her extraordinary capacity for love. In 1914 Florence, an infant is abandoned at a convent. The only clue to her past is a tiny silver key that was left in her swaddling. The child is named Rosa and when she turns fifteen, she is sent to work at Villa Scarfiotti on the outskirts of Florence. 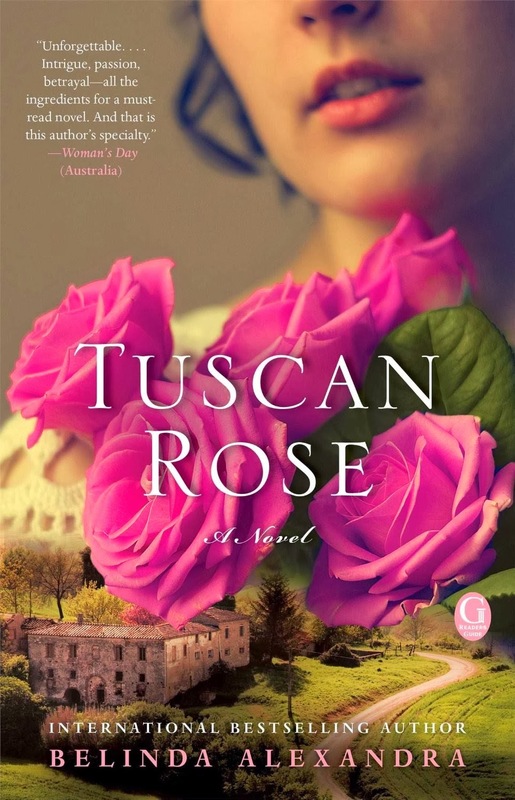 Soon, Rosa discovers that behind the villa's walls, the Scarfiotti family hides dark secrets and mysteries. Rosa's journey in life is a constant struggle as the fascist movement gains power in Italy with its leaders, Mussolini and Hitler. This lengthy novel gives the reader a brilliant, indepth look at the life of every-day Italians from facism in its infancy, to the years of World War II, and finally into the aftermath of devastation and rebuilding. Through Rosa's eyes, we experience the lives of the privileged, the desperation of the poor, and of the quiet machinations of those who worked to defeat facism. This was an entertaining, engrossing read which detailed the hardships, the indignities, and the horrible atrocities of war faced by the Italians. With a full cast of fascinating characters, both evil and good, and powerful love stories, it is a novel of growth and inspiration. Intesely researched, authentically Italian, and written in a easy to read prose, this is one book I very highly recommend. Absolutely beautiful!